With the Surface Noise feature you can add an effect to your model to make it look like stone or wood or some other material. By adjusting the various sliders you can change the look to exactly how you want, from deep pits and cracks to tiny pores across the surface. Masking can be used so that the noise is limited to parts of the model. ZBrushCore comes with a selection of Noise presets you can try – choose from the Noise tab in LightBox. Surface Noise is only a render effect. To turn it into actual geometry that is part of your model you need to press the Tool >> Surface >> Apply To Mesh button. 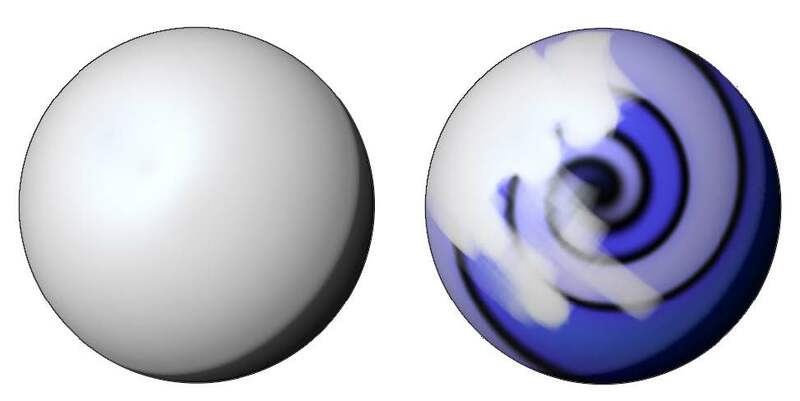 Different Surface Noises applied to the same model. 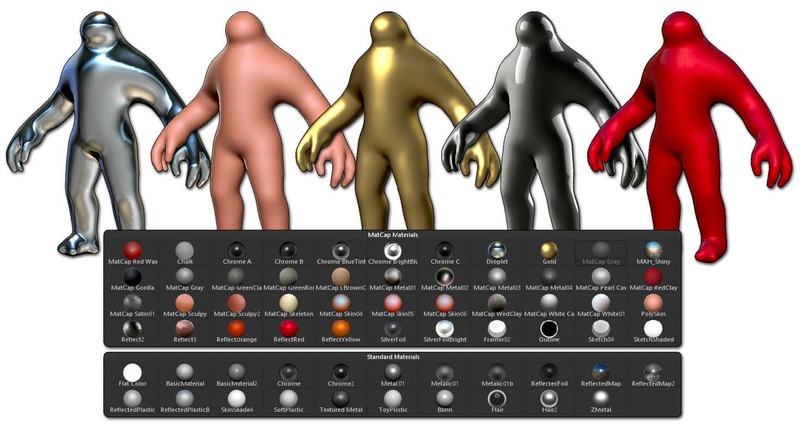 If you want to paint your model, simply select the Paint brush from the Brush palette, choose a color and start painting! To erase color, select white from the color selector. To color the whole mesh with a single color, press the Color >> Fill Object button. The same model before and after painting using the Paint brush. Materials make your model look as though it is made of something, such as metal, stone or clay. ZBrushCore comes with two categories of materials: Standard Materials and MatCap Materials. Standard Materials react to the lights that you can set in the Light palette, whereas MatCap materials have their lighting baked in. The Material pop-up and the same model with different materials applied. To render a high-quality picture of your model, press the BPR button at the top right side of the interface. To show floor shadows, make sure the Floor button is also on. You can adjust render settings in the Render palette. When you have a render you want to keep, you can save it as an image file by pressing the Document >> Export button. 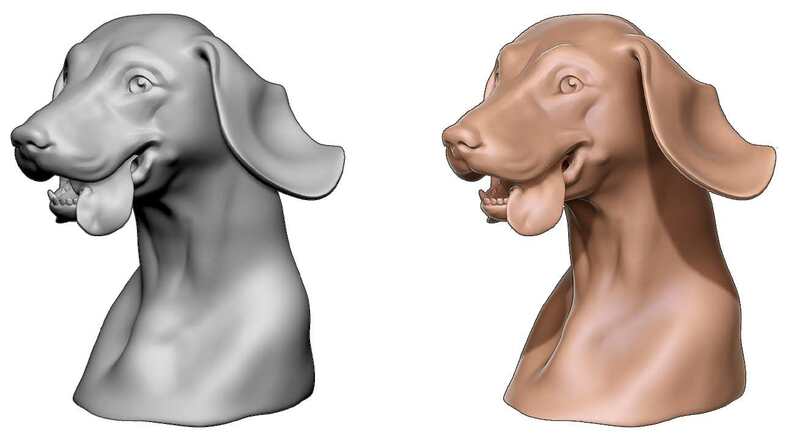 On the left, the render displayed in real-time and on the right, the BPR render of the same model, ready to be exported.